Saving U Green: Field Trip Jerky Giveaway! I committed to a new me in 2013. After recovering from my three surgeries last year, I've committed myself back to the gym to continue training for my ultimate goal! Running a marathon. On a regular week, I do a combination of 6-10 miles per day on the treadmill and/or the bike! I'm also doing a few classes ~ bodyshaping and Zumba classes each week. All this exercise is making this girl HUNGRY! It feels so counterproductive to eat junk after working out so hard. I've been searching for a high protein snack to curb my hunger! 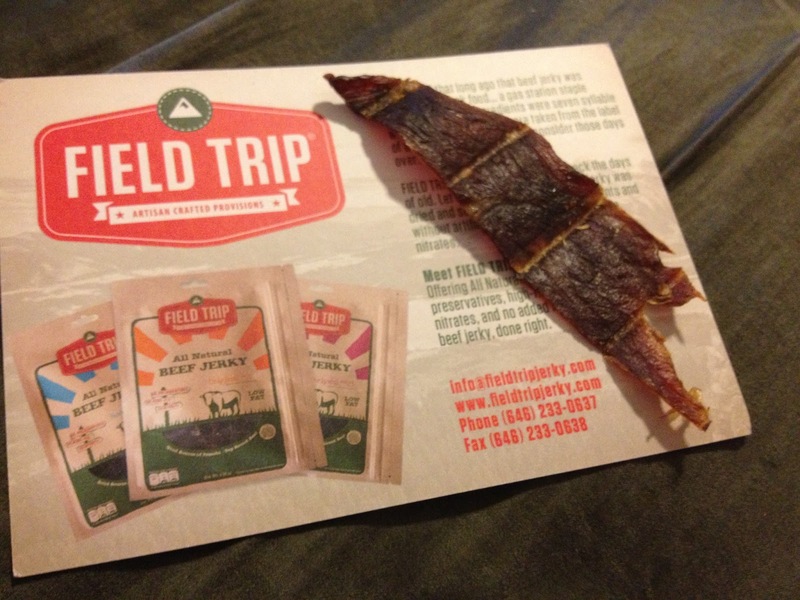 Introducing Field Trip Jerky! 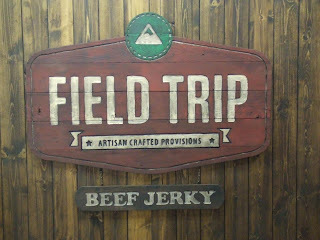 The concept of Field Trip Jerky was inspired by a ski trip to Vermont by three friends. After a few treks down the slopes, they were hungry. Looking to grab some jerky for a quick snack. They were in disappointed by the mere fact that all available options on the market were saturated with chemicals. It was that pivotal moment that set forth a chain of events that resulted with Field Trip Jerky. 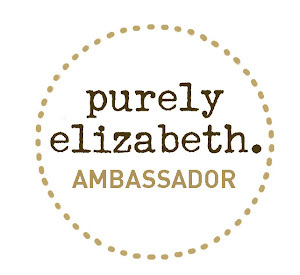 Each friend bringing attributes to the business coupled by a love of jerky! Field Trip Jerky is all natural and contains no preservatives, nitrates or MSG. The end result is a hearty jerky that showcases the true flavor of the spices and all natural beef ! I was surprised by the intense blend of spices in each flavor of jerky. I really enjoyed all three flavors and have hid the remaining jerky from my husband. I really don't want to share! I admit it. I'm stingy because this is some GOOD beef jerky! My favorite is Teriyaki No.23! The pairing of sweetness with the smokey spicy jerky is spot on! 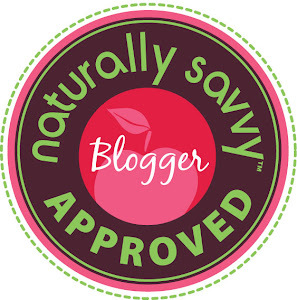 Each piece of all natural jerky is made with high quality Top Round Beef! 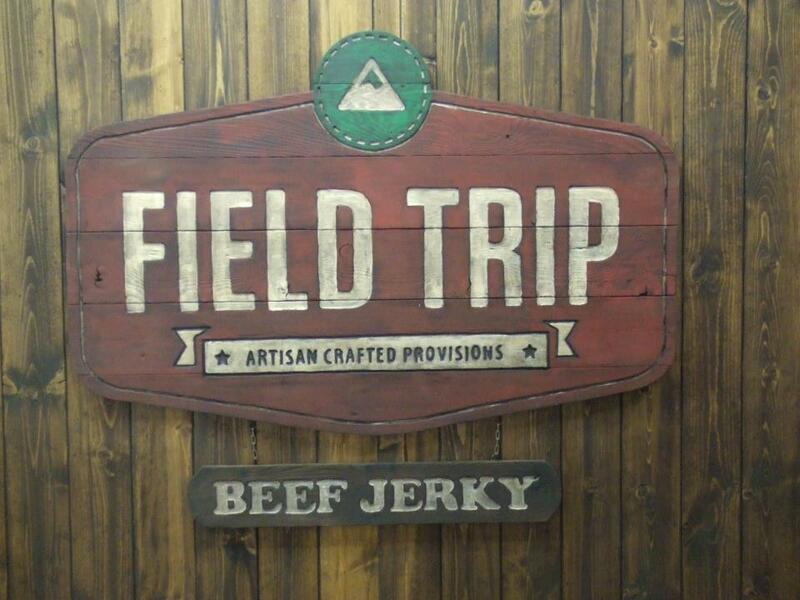 Field Trip Jerky has minimal packaging so you can toss a package in your backpack or gym bag to enjoy Field Trip Jerky anywhere you may travel! 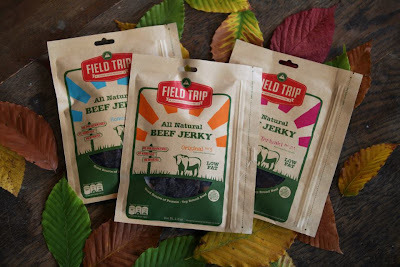 A Field Trip Jerky Prize Pack featuring all 3 flavors! I received a free sample to facilitate this review. All opinions are purely my own. I would like to try Honey Spice No.11. Honey spice sounds really yummy! I would try the honey spice, because I've never heard of that as a jerky flavor. I would like to try the Teriyaki No.23. Honey Spice, but I'd love to try all the flavors! Comment below stating the Field Trip Jerky flavor you want to try the most! The Original..jerky is jerky,or is it? I'd love to try the Teriyaki flavor the most. I think I would just go for the regular original flavor. I want to try the Original. I think Hubs would like original the best! Honey Spice #11 for my hubby! I have always loved teriyaki jerky! I want to try Teriyaki. Any or any! All looks great!